The following points will be analyzed by the Doctrinal Council in September. The points (all or some) will be presented to the 2019 GC Delegation Session next year. 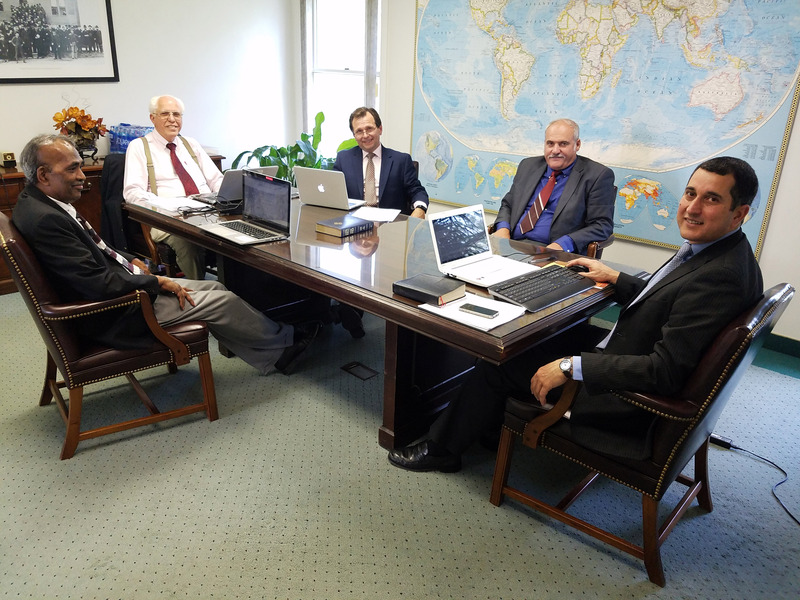 This spring, the Doctrinal Committee (pictured above) met to discuss the agenda of doctrinal points to be discussed by the Doctrinal Council later this year. As the brethren always request the prayer of our members during this time, they felt it would be important the members know what they were praying for. The following is a list of topics that will be analyzed by the Doctrinal Council, which will meet in Roanoke this September. The Council will advise on which topics (all or some) will be presented to the 2019 GC Delegation Session next year. The Doctrinal Committee has studied these points, prepared position papers with texts from the Bible and Spirit of Prophecy and formulated proposed resolutions. Now, this material will be further analyzed by the Doctrinal Council meeting this coming September for further improvements. The topics approved and finalized by the Doctrinal Council will then be proposed to the General Conference delegation session to be held in Brazil in 2019. Let us keep the brethren in our prayers that God may guide them and give them wisdom.